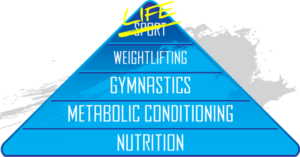 We have all seen the CrossFit pyramid of athletic development (pictured above). It should be of no surprise to you that the foundation of the pyramid is proper nutrition. No matter what your fitness level, the first and most important thing we need to understand is our body understands energy, it does not understand calories, protein, carbohydrates and fat. It can not distinguish between processed, unprocessed or organic. In the same way our vehicles engine does not understand regular or premium gasoline it just understands fuel. Our engine will run regardless of the fuel type used but it will run much better and longer on the higher quality fuel product, and our body is no different. The food we eat is fuel for our body, putting in the right fuel is paramount for success in life and in any physical endeavor. No matter what our goals may be weight loss, strength, size gains, elite fitness performance or optimal health meeting your proper nutritional needs is essential for your success. Our nutritional program is not a diet! It is designed to teach you how to eat properly for your fitness goals and for the rest of life. It is designed to be a step by step process to gain control over bad eating behaviors and replace them with good habits. Good eating habits should not last for a few weeks or a month to achieve a goal, but they should last for the rest of your life so that goal can be achieved and held for future ones to be built upon. Our program differs from others because we are not looking to coach you for ever, we are looking to educate you so that you can be your own nutrition coach in the future. Over the course of the three months we will teach you how to eat in moderation, recognize hunger as opposed to thirst and how to choose proper foods to incorporate into your daily meals. Subsequently, you will learn how to build your own meals when counting macros. At the Rock our nutritional coaching is based off of Precision Nutrition coaching program, which we have found to be the most progressive and sustainable program around. – Improving eating habits through our 10 fundamental principles of Nutrition. – An hour consultation to set goals, understand principles and put a plan into action. – Two 15-30min follow ups during the month to answer any questions and provide any help along the way to ensure you are understanding and implementing the 10 fundamental principles. After the two months minimum at level 2 you may no longer need actual coaching. At that point we can move you to the Tune up phase. Here we can meet to Re-adjust your macros when needed as per your new goals or for changes in body composition which will require a caloric adjustment to keep you on the correct path. 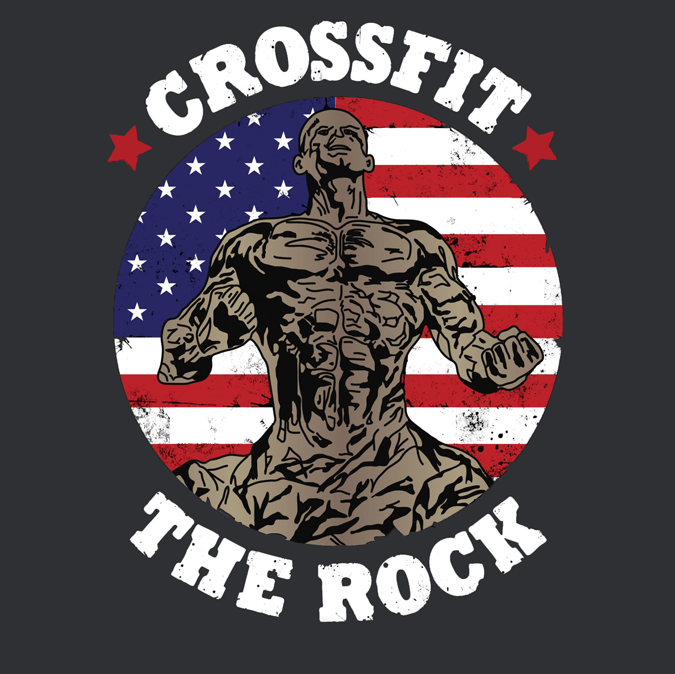 To get started or if you have any questions email Carlo at Carlo@crossfittherock.com.